The exhibition will be open for three months to staff and visitors of the European Central Bank. Members of the public can visit in groups if they register in advance. The exhibition is part of the series Contemporary art from the Member States of the EU curated by the European Central Bank, and is the 21st such exhibition. President of the European Central Bank Mario Draghi and Governor of Eesti Pank Ardo Hansson spoke at the official opening on 27 June. “This wonderful initiative by the European Central Bank allows us to act as ambassadors abroad for Estonian art. The Republic of Estonia is celebrating its 100th anniversary this year and next year Eesti Pank will be 100. We are very pleased to mark both of those important dates with this exhibition”, said Mr Hansson. Eesti Pank is supporting the transport of the works of art to Frankfurt and back. 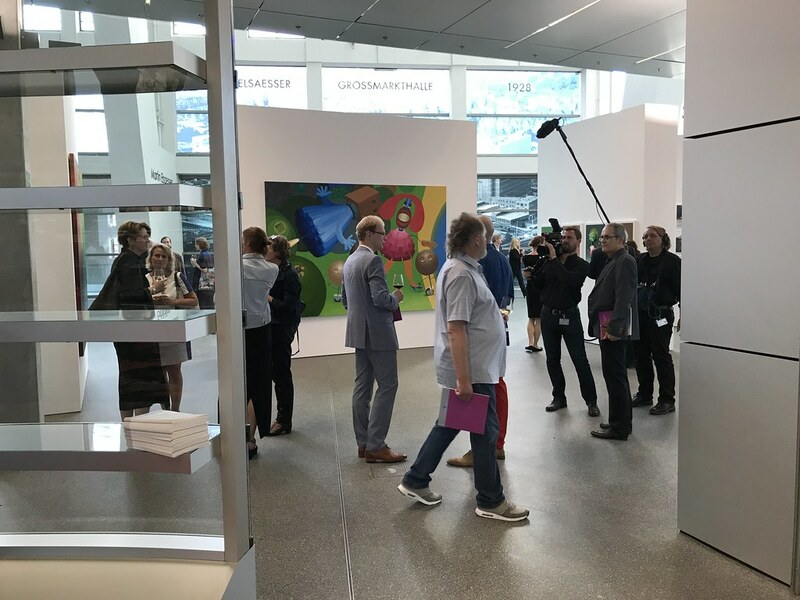 The works for the exhibition were chosen at the proposal of the curator of the art commission of the European Central Bank, and 14 artists are represented: Merike Estna, Kristi Kongi, Marko Mäetamm, Kaido Ole, Laura Põld, Paul Kuimet, Krista Mölder, Marge Monko, Sigrid Viir, Katja Novitskova, Kris Lemsalu, Flo Kasearu, Kristina Õllek & Kert Viiart, and Taavi Suisalu. There are 50 works in the exhibition altogether and they include paintings, photographs, sculptures and digital and mixed-media works.